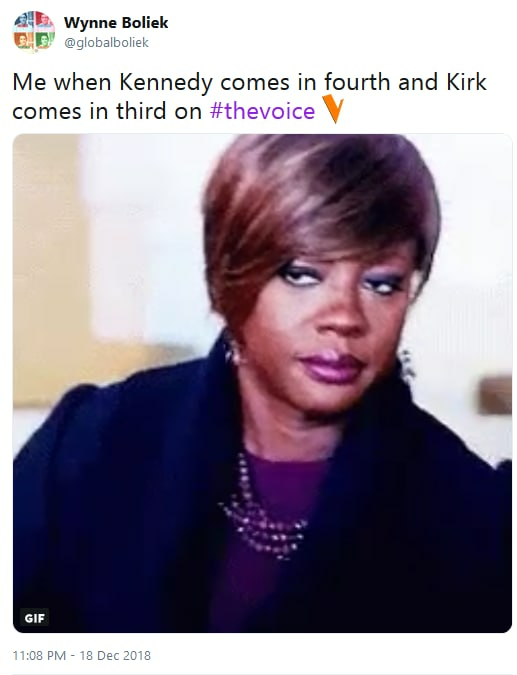 As you may recall from our The Voice finale recap, the Season 15 winner was nothing if not a controversial choice. The fact that the contestants who had been hitting it out of the park week after week were suddenly falling behind struck viewers as odd. Some suspected a conspiracy — rigging — at the network. Others suspected that racism was responsible. Some thought that it was both. It's clear that Twitter would have chosen a very different winner than The Voice did. And a lot of folks are so upset that they've vowed to never again allow the NBC competition series to darken their screens. Chevel Shepherd, a white teenage yodeler, won. Viewers could not believe their eyes or ears. Some would say that this is the most in-touch with Americans that any The View host has been in a while. 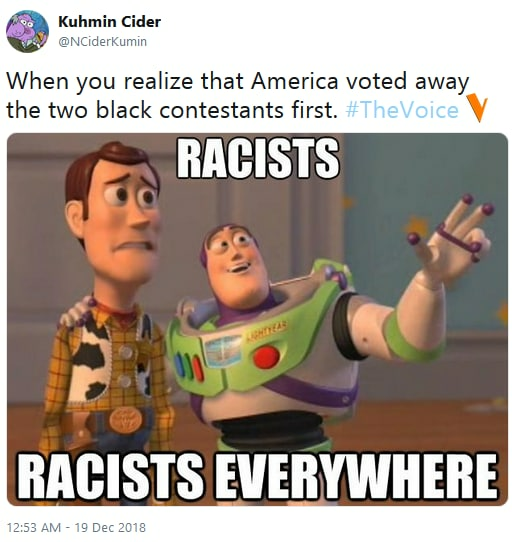 A lot of people felt that, consciously or unconsciously, The Voice’s winners won because of their race. 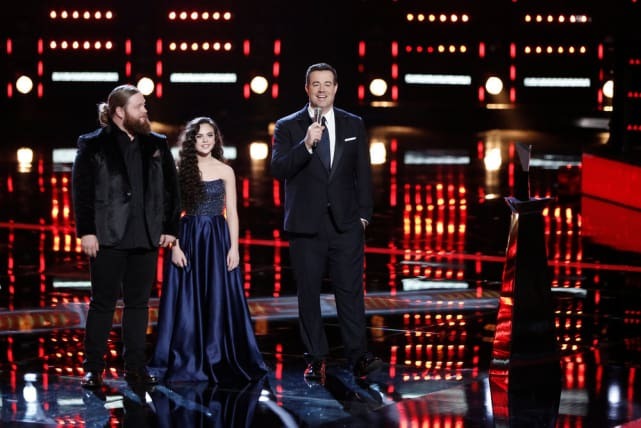 A lot of people vowed to stop watching The Voice. We’ll see how many stick to that promise. 5. 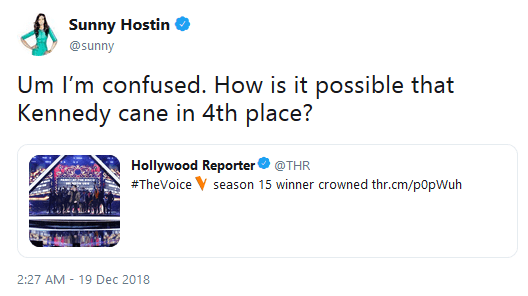 Did the audience’s votes even count? A lot of reality competitions are “rigged” in that the show will maneuver some contestants to stay longer. It sounds like people think that The Voice is straight-up lying about caring about the audience’s votes, which is another matter entirely. 6. Conspiracy theory or hard truth? Racism is alive and well in America. Did it play a role in handing Chevel an undeserved victory? Jackson Roloff Turns 4 Months. Now He Can Do THIS! Lauryn Shannon Gives Birth! Meet Lil Pumpkin!